Following the success of the 2015 Leasing Life conference in Budapest work is underway to ensure the Leasing Life conference in 2016 is a suitable successor to what has become the asset finance and leasing industrys signature event. The European capital for leasing, Paris promises to be an ideal setting for the industry to come together to discuss its progress at the turning point of this decade; to consider its strategic role in the recovery of European economies; and to prepare for future challenges affecting its particular place in the financial world. example name or date changes. will not be accepted over the phone. or any other extraneous variable beyond FNP’s control. Chris Cooper is the co-founder and head of Challenge Consulting Ltd, an award-winning consulting firm. He has 27 years consulting experience with the Big 4 and other leading firms. He established Challenge Consulting in 1998. Challenge is now regarded as one of the UK’s leading specialists in business performance transformation and change. Chris is hands-on in his work with clients. His consulting capabilities include strategy, transformation, integration, operations, marketing, customer management and change. He continues to lead some of the largest and most demanding transformation and change programmes in Asset Finance and Leasing anywhere in the world. Tarun leads the firm’s Financial Services Corporate Finance practice with a focus on banking and alternative lending sectors. Tarun joined the firm in 2003 after spending many years in the asset and consumer finance sectors in various senior management roles. In recent years Tarun and his team have advised on many of the M&A and funding transactions in the asset finance, retail finance and intermediary markets. Tarun also is a founding director of the Leasing Foundation and is a member of the board of the Institute of Chartered Accountants in England & Wales Financial Services Faculty. Tarun a scientist by training and transferred to the accountancy profession after graduating. Charles Maddren is the Head of Sales, Europe for Great Americans Lease & Loan Insurance Services. He has 25 years of experience in insurance, the majority of which has been focused on the leasing and asset finance sector. Charles has worked with many equipment leasing and automotive finance organisations to build portfolio security and additional margin into their business. He is a Leasing Foundation Fellow. Charless New Zealand accent is familiar to many. He has a background in research, a degree in science and a masters in leadership. 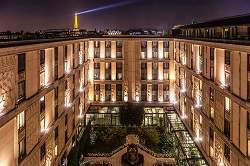 This year’s Leasing Life Conference & Awards sees us travelling to Paris, with the event being run in the beautiful Hotel Du Collectionneur. Facing the very chic Parc Monceau, just a few minutes from the Arc de Triomphe, Avenue des Champs Elysées, the boutiques and art galleries of the rue du Faubourg Saint-Honoré. A Unique Setting An authentic tribute to the Art Deco style and luxurious transatlantic liners of the era, the Hotel du Collectionneur Arc de Triomphe Paris allows guests to relive the elegance and sophistication of the 1930s. We have secured a preferential rate of 260 Euro/night on the 23rd, 24th and 25th November 2016 for a number of classic guest rooms at the Hotel Du Collectionneur where the conference is taking place. PLEASE NOTE this rate is valid up until Wednesday 16th November. If you would like to book a room, please contact Victoria Pennell on 020 3096 2634. Train Stations: Gare Saint Lazare (5 Min by taxi), Gare de L’Est, Gare du Nord, Gare Montparnasse, Gare de Lyon & Gare d’Austerlitz International Airports : Roissy Charles du Gaulle (40 min by taxi & Orly (40 min by taxi)Public Parking: 80 Vehicles with direct access to the hotel. David Bunker is the assistant managing director of Close Brothers Asset Finance Print Division and is also the UK managing director designate of Close Brothers Asset Finance Germany. His day to day role involves being part of the leadership team at Sidcup, servicing his own clients and leading a sales team. David had previously been the business development director within Close Brothers Asset Finance since 2007 and has worked for the bank since 1993, mainly in the print finance division. Prior to this he had experience in Close Investment Management. More recently he gained his MBA (with distinction) from Henley Business School. Brian Cantwell became the editor of Leasing Life in 2014 and this is his third Leasing Life conference and awards. Prior to covering asset finance and leasing, he covered the global private equity secondaries market; before that he reported on UK pensions, tax and personal finance. He holds a Masters in History from Gonville and Caius College, Cambridge University. Migrating from his native Newcastle Upon Tyne to London, he trained in Journalism with the National College for the Training of Journalists (NCTJ) at Lambeth College in south London, where he has lived since 2008. Chris Cooper is the co-founder and head of Challenge Consulting Ltd, an award-winning consulting firm. He has 28 years consulting experience with the Big 4 and other leading firms. He established Challenge Consulting in 1998. Challenge is now regarded as one of the UK’s leading specialists in business performance transformation and change. Chris is hands-on in his work with clients. His consulting capabilities include strategy, transformation, integration, operations, marketing, customer management and change. He continues to lead some of the largest and most demanding transformation and change programmes in Asset Finance and Leasing anywhere in the world. Per holds a MSc from Yale University and a BSc from KTH Royal Institute of Technology. After 6 years in Singapore working for technology multinational ABB, in 2015 he returned to Sweden to join Emric, a disruptive FinTech software provider. At Emric, Per heads up marketing and business development. In this role, he has helped establish Emric’s position as a strong Nordic player within analytics and lending software, and as a first-rate provider of leasing software both in the Nordics and across Europe. In addition to promoting Emric’s innovative software suite, Per is excited about growing Emric’s financial BPO service, which offers end-to-end solutions for small to medium Nordic banks and financial institutions. Carl DAmmassa is Group Managing Director  Business Finance and has executive responsibility for Aldermores business lending activity through the asset finance, wholesale and invoice finance product lines. Carl joined the bank from Hitachi Capital where he held the position of Managing Director of their Business Finance division. Through Carls career, he has worked in a number of challenging turnaround or transformational situations leading significant sales, operational and process improvements. Carl started his financial services career at GE Capital holding various financial, operational and general management positions in GEs Equipment Finance, Equipment Services and Restructuring divisions, including the post of CEO of the vehicle rental, plant hire and Key Leasing businesses. Andrew Denton is CHP Consulting’s Chief Executive Officer and leads the company. Since joining the company in 1995, Andrew has been instrumental to the company’s global strategy and success, and joined the Board of Directors in 2003. He was made Chief Operating Officer in 2014, and became CEO in September 2016. Andrew joined CHP as a consultant and earned his first project management appointment in 1998. In 2000, Andrew moved permanently into Sales and Marketing. In the subsequent three years he was responsible for a series of key business wins, including CHP’s first European, Australian and US implementations at GE Capital Key Lease, Commonwealth Bank of Australia and Textron Financial. Andrew is also CEO and joint founder of the Leasing Foundation, an organisation that supports the leasing and asset finance industry through charitable activities, research and development. Egbert de Jong started his career in 1992 as regional sales manager for Latin America at Philips Hearing Instruments. He then moved to Tennant, where he held positions in European Sales Management and Product Marketing. In 2001, he started with DLL, where he has served in European and Global marketing positions. In 2013 Egbert was appointed Vice President Product Development & Life Cycle Asset Management. He is responsible for the global asset management strategy and asset based product and services development. Egbert also leads the company’s Life Cycle Asset Management initiatives to support manufacturers and end-customers exploring new circular economy service and usage based business models. Egbert is guest teacher at the Dutch Association for Life and Finance (Stichting LEF). He holds a degree in Industrial Engineering, with a Marketing Specialization. Carmens career started in Bucharest where she helped found one of its first IT companies in 1990. This rapidly became the number one IT company in Romania, and was acquired by IBM. A successful international IBM career followed: she established up start up financing operations in South Africa and Central Europe; she was General Manager of IBM Global Financing Italy; became Vice President IBM Global Financing Northeast Europe, managing more than $6BN of assets; and finally Vice President Enterprise for IBM Global Business Services. Carmen joined 3 Step IT in 2015 to help transform the organisation into a service led financier. Carmen has an M.A. in Cybernetics, Statistics and Informatics from the Academy of Bucharest and an MBA from the OU London. She is a Governor of the Leasing Foundation and a Director of Amcham Finland: a hub that facilitates international business. Patrick Gouin is the CEO of Max&Tite International, a Consultancy firm specialized in strategy, international business development, business optimization and change management. 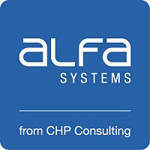 He is also Senior Advisor at Invigors  Alta Group a consultancy firm specialized in asset finance. He was until recently Global Head of Strategy & Business Optimization, Member of the Management Committee at Société Générale Equipment Finance. Before this he headed the High Tech International Division. Patrick started his career in a consultancy firm from 1978 to 1985. He then joined the Alcatel Group as advisor to the Chairmans’ office, and General Manager of CGE-Composants. In 1991 he joined Digital Equipment France as Managing Director for indirect distribution channels. In 1996, he became Head of leasing and remarketing for Digital Equipment Europe, setting up the JV Digital Finance with De Lage Landen and was then named Managing Director of the European High Tech Division. Patrick graduated from ESSEC (Ecole Supérieure des Sciences Economiques et Commerciales) and owns a Masters in economics. 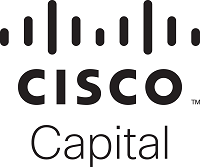 Stuart Hall leads Cisco Capital’s UK and Ireland sales operation, with responsibility for leading a team of technology financing experts who help Cisco’s customers acquire and consume Cisco solutions. Prior to this he was responsible for Cisco Capital EMEA Partner and Commercial segments including alignment to the key Cisco and Partner initiatives, developing programs designed to drive business with EMEA partners and Commercial customers, and again leading a team responsible for building strategic relationships with the top Cisco Partners. Hall joined Cisco Capital in 2004 as the UK and Ireland SMB (Small Medium Businesses) Sales Manager and was promoted into an European management role, launching the successful easylease program across Europe. Through close collaboration with the Cisco SMB and Channel organisation he transformed Cisco Capital’s SMB financing capabilities and deliver double digit year-on-year growth. Prior to joining Cisco, Hall was Senior Sales Manager at a UK based financial intermediary and also spent six years at Heller Global Vendor Finance in various program management roles for Apple, Intel and IBM. Bas Hoekstra has spent his entire career working in the European leasing industry. After graduating from the University of Amsterdam he joined a management buyout initiative of the Security Pacific Benelux lease portfolio. He moved to London to join GE Capital in the mid ’90s where he held various regional and European sales and business development roles. After 5 years he joined ING Lease to set up its vendor finance activities across Europe and to start up new businesses in the CEE region where he lived for 7 years. Upon returning to the Netherlands in 2011 he joined the management team of ING Lease Holding. He currently lives in Paris and works as Vendor Relationship Director at Societe Generale Equipment Finance. Peter Hupfeld is the Head of Nordea Transaction Banking Finance Services and CEO of Nordea Finance, the largest finance company in the Nordic and Baltic countries. Before joining Nordea, Peter spent 10 years with the global insurance company RSA Scandinavia (Royal Sun Alliance). In his most recent position as Commercial Director he was responsible for all corporate business covering the SME market, Corporate- and global clients. Historically, Peter had several cross-Nordic leadership positions within RSA and worked as a management consultant within corporate strategy and process optimisation. Peter holds a Masters degree in engineering and an Executive MBA. Within the General Management Committee, Pascal Layan,Global Head of Business Lines, supervises Equipment & Logistics Solutions (ELS), Technology Solutions (TS) and Bank Leasing Services (BLS) International Business Lines, and the Marketing and Business Report & Analysis functions. From 1990 to 2000, he held several managerial responsibilities within BNP Paribas entities specialising in Vendor Finance (BNP Lease, Crédit Universel), before becoming Sales Director TS France of BNP Paribas Lease Group between 2000 and 2005. Pascal Layan was then appointed as Sales Director of Technology Solutions International Business Lines (IBL). In 2008, he took up responsibility as Managing Director of BNP Paribas Leasing Solutions in Portugal. He was then appointed Head of Marketing & Solutions for the specialised IBLs in 2011 and then, in 2012, he was named Head of the Equipment & Logistics Solutions IBL, Board Member of CNHi Capital Europe and Claas Financial Services, and Chairman of JCB Finance. Kieran Marshall has over 30 years’ experience in the financial services sector, holding senior management positions across multiple functions and businesses both domestic and international. At AIB, he has held senior management positions as head of operations, head of new business acquisitions and head of corporate leasing. Prior to joining AIB, Kieran was head of Corporate & Institutional (C&I) Banking in Danske Bank. Since October 2008, Françoise Palle Guillabert has been the Director General of the French Association of Specialised Finance Companies (ASF). Françoise Palle Guillabert began her career at the Banque de France as an Assistant Manager. In 1989, she was assigned to the French Banking Commission. She was then appointed to the Treasury department of the French Ministry of the Economy and Finance in 1994, where she served as Deputy to the Head of the Financial Markets Office before being named General Secretary of the French Privatisation Committee in 1996. In 1999, she became Head of the Banque de France’s Professional Regulations Department and Head of the French Banking and Financial Regulations Committee (CRBF). In 2003, she moved to the French Banking Federation as Head of the Retail Banking and Remote Banking department. 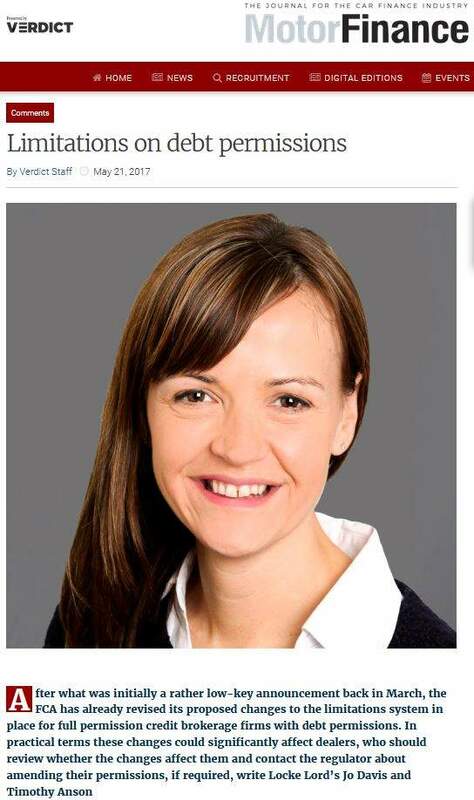 She is an active member of three European associations Leaseurope, Eurofinas (as a member of the Board), and EU Federation for factoring, as vice-chair. Mme. Palle Guillabert has a French law Master degree and a Master in Public Affairs from the Institut d’études Politiques in Paris. Pascal Philippossian-Hardouin is the Cisco Capital Regional Sales Manager responsible for the South Region in EMEA, managing the sales strategy and leading a team of financing and leasing experts who combine expertise in flexible, competitive financing with a comprehensive knowledge of Cisco technology. Pascal has a professional career of over thirty-five years providing vendor financing expertise within information and communication technology companies. He has extensive experience helping customers optimize their technology investment and helping partners leverage vendor financing to support their sales strategies. Jonathan Power has enjoyed a +25 year career in financial services technology that has spanned 4 continents, covering consulting to cash management, trade finance to technology infrastructure, payments to professional services and everything in between. After working with industry leading technology companies such as IBM, Sungard and Misys, Jonathan joined International Decision Systems in September 2014 as their EMEA Managing Director to explore, what is to him, a new area of financial services – asset finance and leasing. A banking and finance professional with more than 25 years of experience in the equipment finance market, John is a graduate of Bristol University. John started his career with National Westminster Bank. From there he moved to Bank Leumi (UK) Plc where he began to specialize in asset finance. After working with Svenska Finans (Swedish) and ING Lease (Netherlands) John joined Hambros Bank Plc. When Hambros was acquired by Societe Generale in 1998 John continued to manage the UK business of Societe Generale Equipment Finance. He moved to France in 2002 to work in the head office of SGEF, followed by a two years assignment to manage the SGEF business in Sydney, Australia and a 3 year assignment for SGEF in China. From 2012 to 2014, John joined the Risk division of Societe Generale to supervise the businessline of Equipment Finance. In October 2014, he was appointed SGEFs Head of Industry and Vendor Management. Diwakar has been with Genpact (earlier GE Capital) for the last 16 years and is responsible for the Commercial Lending vertical across multiple countries and delivery locations including Real Estate, Asset Based Lending, Wholesale, Factoring , Fleet and Auto. He also runs large client relationships for the company. During his time with Genpact he has executed a variety of roles in Operations, Technology and Business Development, including spending a year in China setting up operations for GE Capital. He worked with Xerox in Supply Chain prior to joining Genpact. Diwakar has a degree in Chemical Engineering and an MBA. He spends his time between New York and India. Bernie joined UK Government owned British Business Bank (BBB) from Barclays Asset Finance in March 2013. With almost 40 years in banking and finance, the latter 16 in asset finance, he was part of the original team that saw BBB fully established on 1st November 2014. Bernie is a member of the Wholesale Solutions team which delivers funding and capital products that help increase the flow of finance to SMEs. He has responsibility for development and marketing of the Enable Funding programme, which provides an alternative, diverse source of funding to eligible asset finance providers, which themselves finance smaller businesses. Thomas Stahl is Managing Director of Deutsche Leasing International GmbH since 2014 and member of several supervisory boards of Joint Venture companies. Prior to Deutsche Leasing, Thomas was the managing director for De Lage Landen Leasing GmbH, leading them to become a high performing organization. Thomas has more than 25 years of financing and management experience. He worked for IBM Deutschland for 20 years, 15 of which were spent at IBM Global Financing; he has an international career with numerous international assignments. Thomas is a vendor finance expert with strong leadership skills in change and integration. Carlo van Kemenade is Chief Operating Officer (COO) and member of the Executive Board responsible for DLL’s operational activities in over 35 countries as well as global IT. He has held various senior and executive management positions since joining DLL in 1990 and has a broad experience across all relevant fields of the organization. Carlo van Kemenade has specialized in providing leadership in a complex fast changing multicultural and global environment. Next to his activities for DLL, Carlo van Kemenade is chairman and member of several supervisory boards and his passion is running marathons throughout the globe. He has a Master of Science (Msc) as well as an MBA from Nyenrode Business University where he was awarded Student of the Year as well as Valedictorian (highest scores). Gavin Wraith-Carter, Managing Director of Hitachi Capital Business Finance has been a powerful influence within the Business Finance sector for more than 30 years, since obtaining his fellowship from the Chartered Association of Certified Accountants and beginning his career at Lombard UK. Gavin was a part of the early team that formed First National Asset Finance in 2001, a business that went on to become the backbone of the £3billion UK ING Lease UK. He came to Hitachi Capital in February 2013 and quickly became a key member of the senior management team  doubling the Business Finance portfolio in his first 12 months. Appointed as General Manager in September 2014, Gavin continues to raise the Hitachi Capital brand significantly within the Business Finance sector. This year Gavin was appointed as one of the new governors of the UK Leasing Foundation. Deutsche Leasing Group (DL) is a solution-oriented asset finance partner for German medium-sized companies. 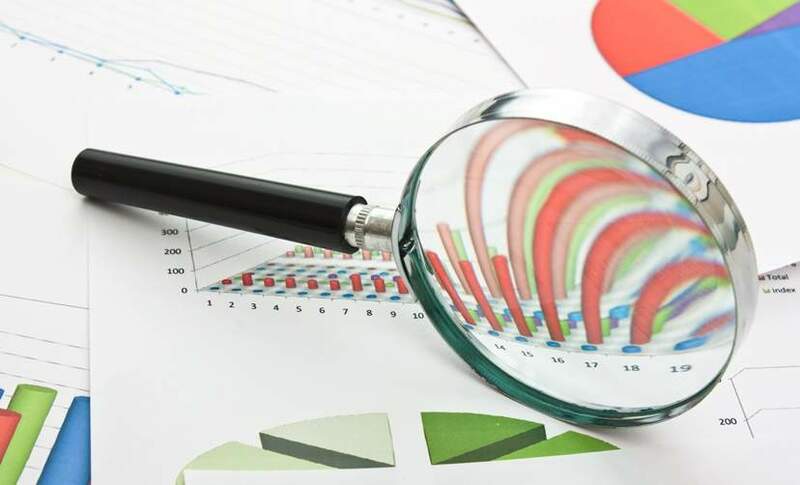 In this role, it offers a broad range of investment-related financing solutions (asset finance) as well as supplementary services (asset services). Within the Sparkassen-Finanzgruppe, DL pursues a holistic advisory approach which reflects comprehensive know-how in relation to its customers industries and business models. Since 1993, through its internationalisation strategy Deutsche Leasing has followed its German clients and partners into their core European export markets, as well as to China, the USA, Canada and Brazil. All in all, DLs international network comprises 22 countries aside from Germany. Close Brothers Asset Finance is part of Close brothers Group plc; a leading UK merchant banking group providing lending, deposit taking, wealth management services, and securities trading.Close Brothers Asset Finance offers a range of flexible funding solutions to UK SMEs and is a sustainable form of funding. Asset Finance enables a business to purchase or refinance capital equipment such as commercial vehicles, print machinery or construction and plant, spreading the cost over an agreed period of time. 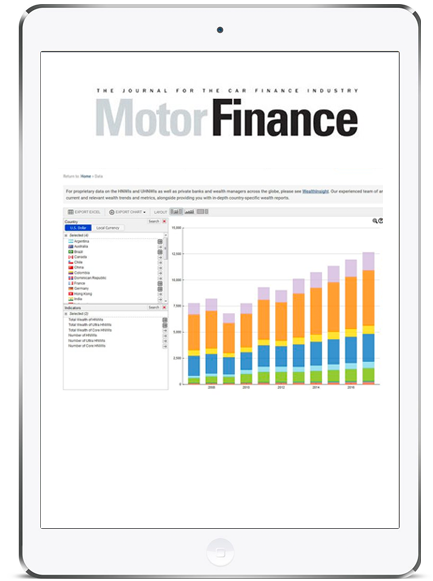 Demonstrating its power as a strategic tool for business growth, asset finance is now the fastest growing finance option on the market. Emric is one of the fastest growing FinTech companies in the Nordics and proud to support a global network of banks, credit companies and system partners. Headquartered in Stockholm, the company has additional business operations in Belgrade, Kalix and Jakarta. With approx¬imately EUR 20 million in revenue, installations in 24 different countries and 60 individual banks and credit companies as clients, Emric is the largest vendor in Scandinavia in its seg¬ment. Emric is also a Microsoft Gold Certified Partner. Great American Lease & Loan Insurance Services is a recognised leader in providing insurance products to commercial equipment lessors, lenders and manufacturers, and vehicle finance markets in Europe. Our bespoke insurance solutions are designed to provide portfolio protection, deliver an additional revenue source to your business and enhance your product range. Our successful pan-European programmes deliver consistent and flexible multi-lingual insurance solutions across multiple territories. Lease & Loan Insurance Services has been providing specialised insurance programmes to major financial institutions in Europe for over a quarter of a century. We are part of the Great American Insurance Group whose roots go back to 1872 with the founding of its flagship Great American Insurance Company which has received an A (Excellent) rating or higher from A.M. Best Company for over 100 years. Within the BNP Paribas Group, BNP Paribas Leasing Solutions is specialised in leasing and rental solutions for professional equipment, offered either directly to businesses or through its main partners: manufacturers, publishers and their distribution channels. With 29.2 billion of outstanding under management, BNP Paribas Leasing Solutions is a European leader in equipment finance with a wide-ranging offer, extending from leasing arrangements to long term rental solutions and asset management contracts. As a business enabler, BNP Paribas Leasing Solutions provides value-added solutions to its clients and partners in 21 countries, and its 3,000 employees are strongly committed to deliver a high standard quality of service, based on 5 commitments: expertise, simplicity, responsiveness, innovation, responsibility. Locke Lord is a full-service, international law firm that ranks among The American Lawyers top U.S.law firms. Our team has earned a solid reputation in complex litigation, regulatory and transactional work. We serve our clients interests first, and these clients range from Fortune 500 and middle market public and private companies to start-ups and emerging businesses. Through our wide-ranging international footprint, Locke Lord has received numerous industry recognitions as a global leader in the middle market sector.Our London office not only provides a full service offering in the UK but is also a gateway for the Firms international work in Europe, the Middle East and Asia. Our wide geographic coverage allows us to co-ordinate multi-jurisdictional advice on the issues affecting our clients. As technology financing specialists, 3 Step IT makes it easy to lease, manage and renew IT assets. Our asset management service puts customers in control of their equipment life cycle: when each item was installed, where its used, and when its due to be replaced. So the end of lease process is never a surprise. Our refurbishing centres process hundreds of thousands of returned devices. After data has been securely erased reconditioned devices are resold to an extensive network of buyers. We also work in partnership with other lessors: they can use our asset management, refurbish and resale expertise to offer more to their clients and also realise their assets residual value potential. Renaissance Asset Finance (RAF) was set up by Hugh Sigrist in May 2014. He teamed up with The Bank of London and the Middle East (BLME), who provided the initial £35M line required to launch Renaissance. RAF far exceeded original forecasts in their first year, lending just under £50M. RAFs model is distinctly different from most of the new lenders entering the market, who are trying to run a business on a centralised basis. RAF visit all their clients in the field, so they fully understand their business and can find the best financial solutions for them. Having such an experienced team of real industry experts, really sets RAF aside. We are an international equipment leasing company operating in 4 countries. As a wholly owned subsidiary of ABN AMRO, we provide lease contracts in the Netherlands, Belgium, Germany and the United Kingdom. We lease a wide variety of business assets: from sea containers to tractors and from plant and equipment to vehicle fleets. We focusing fully on financing the core assets at the heart of your business. We believe that asset-based lending is the best way to finance business assets. The key feature of our service is that we take a partnership approach. We work on the solution that suits you best. Our aim is to become a long-term partner rather than merely funding a single transaction. We take the time to understand your business and plans for the future and present an offer that helps you achieve your ambitions. NetSol Technologies (NASDAQ:NTWK) is a US based IT solutions company, serving the asset finance and leasing industry worldwide. With local support and delivery centers in 8 cities around the world, our team of 1500+ experts ensures that our clients benefit from the deep industry insight we have developed over the course of 4 decades. Having rapidly expanded to several locations across the globe and providing superior technology solutions to the biggest names in the leasing and finance industry, NetSol has an ethos of excellence and innovation through constantly devoting time and resources to a well-rounded team of skilled and experienced professionals. 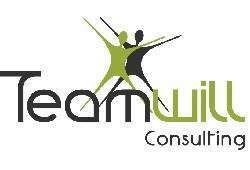 Teamwill consulting is an IT boutique consultancy firm specialized in Credit and Asset Finance based in Paris. Since 2004, Teamwill consulting has helped customers to get the best out of their systems and has developed an extensive best practice database for the Credit software implementation. With more than 100 talented collaborators in France, and strong partnerships with main credit software vendors, Teamwill consulting supports clients with IT transformation challenges. Teamwill Consulting is collaborating with all main key players of retail banking in Europe as well as major financial corporations in Consumer Credit, Leasing, Equipment Finance and Automotive Credit. Hitachi Capital Business Finance, a subsidiary of Hitachi Capital (UK) PLC, provides business asset finance to over 25,000 customers across the UK, powering both SMEs and bigger corporations to meet their goals and grow. Working across multiple sectors, the business works through finance brokers and with vendor organisations to provide products including hire purchase, operating lease, finance lease solutions and block discounting. SQN Capital Management is an international multi-strategy investment manager with a focus on equipment leasing and asset finance. By targeting financing opportunities for business-essential assets and equipment in the £1m to £30m range, SQN strives to provide regular income, downside protection, and capital appreciation for its broad range of investors which include multi-asset managers, pension funds, institution income funds, private wealth managers, insurance companies, and retail investors. Nordea Finance is the leading finance company in the Nordic and Baltic region and number nine in Europe. Our knowledge of the local markets and key industries make us a valuable partner for international vendors looking for solutions to enhance their sales and profitability. We are committed to building long-lasting relationships and to provide customers with solutions to finance investments, improve cash flow, save costs and increase sales. We develop our services to make it easy doing business with us. Nordea Finance has approximately 1100 employees to support our customers and enable them to create success in their business. We lend money to businesses to help them buy the things they need to grow, getting the equipment they need whilst spreading the cost over an agreed period without tying up their capital. Its all we do, and weve been doing it for over 150 years. From one off purchases for SMEs to large revolving credit facilities for large corporates, we fund all types of assets from cars, vans and IT to heavy goods vehicles, train fleets and commercial aeroplanes.With relationship managers specialising in particular fields, customers can expect a tailored approach working with someone who knows the sector and market. For more information, contact Shane Thomas, Head of Specialist Asset Finance on +44 (0) 7764 826 026. Exclusively sponsored by CHP Consulting, the leading supplier of software solutions and consultancy services to top asset finance organisations worldwide, the awards recognise the achievements of the European asset finance industry in 2016. This year companies can nominate in 11. Full details of this year’s categories and criteria can be found on the tab above. The full list of awards categories and criteria for this years awards can be found below. Endorsement from the intermediarys key funding panel members, speaking to risk quality, after-sales service and customer care. Examples of added value and how the intermediary turns transactions and relationships into viable business where others could not. 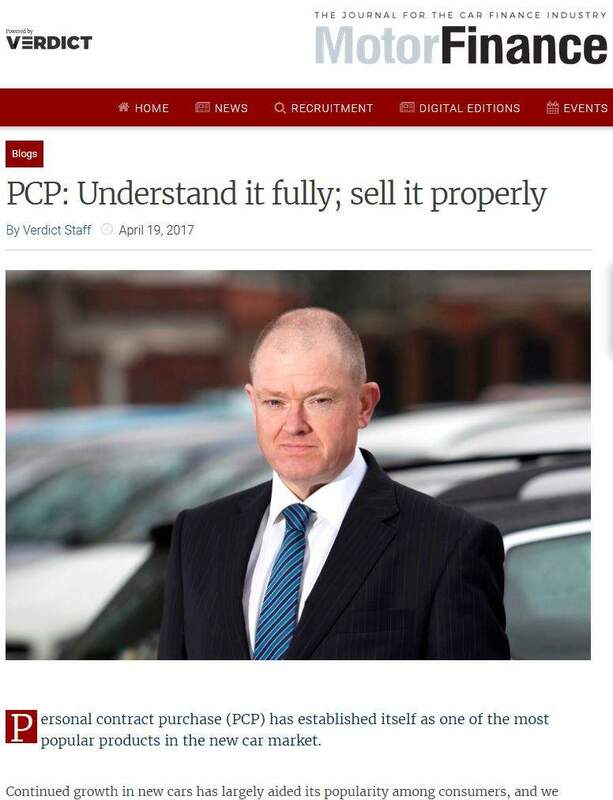 The intermediarys client satisfaction and market reputation. To qualify for this award, nominees must have businesses across at least two of Europe’s major five economies, and write at least 500m worth of new business annually. The European lessor of the year should be able to explain how it is driving change in the industry with market initiatives, product design, or value-add services. This award is open to nominations for the captive finance houses of any commercial asset or vehicle producer. This award recognises real focus on the captives efforts in supporting the parent and developing solutions that are relevant. Support through all parts of the economic cycle is a critical feature and the lessor should be able to demonstrate how they use their skills to improve the products and services to assist sales and create additional value. Evidence of the strength of the Parent/Lessor relationship showing how they work hand in glove to add additional value to the customer and additional value to their group. To qualify for this award, lessors must be writing business in the 20m+ ticket size. In this sector, asset knowledge, risk appreciation, skilled structuring and commitment to the sector are all important features. This award recognises a mutually beneficial working relationship between two leasing businesses to achieve a joint objective, whether this is research, development or a shared product. Size alone is not a defining feature of this award. The judges will require a narrative of the working relationship, and what the parties hoped to achieve. Results are subjective based on the joint venture, but success will be measured in evidenced benefits to the parties, the longevity of the relationship (if that was a factor in its success). Any financial success as a result of the partnership. This award is meant to recognise a policy, product or leasing related site or application that pushes the envelope on how commercial lessors relate to their customers. Not designed simply for e-signatures or a back-room platform change, this award must impress the judges with its technological expertise and its novelty. This award is designed to recognise the provision of equity or debt into the European asset finance market, via a securitisation, an acquisition, a structured debt facility, or an out and out credit line that allowed a leasing business to flourish. The foundation of the award is the injection of new risk capital (whether by way of debt or equity or acquisition) from new sources into the industry to provide it with the stimulus and raw material to grow, and possibly challenge that status quo of the industry. The judges will be looking for entries that provide new risk and growth capacity to the industry or have provided material new liquidity from external sources. The following awards are presented to individuals and as such, these will be awarded by the judging panel without prior nomination. The young professional of the year category will recognise someone under 40 years of age who in the past year has demonstrated the depth of their talent and the breadth of their expertise in the leasing and asset finance industry. The winner does not need to have risen to a senior position, but will be someone who peers agree has had a positive impact on the leasing community, influencing not just the success of their company but also the wider industry, and is judged by the Leasing Life editorial team. This award will be given to an individual who is considered to have done more than any other to promote, develop and enhance the reputation, economic role and social status of the leasing industry in the past year. This new accolade recognises an individual who has made a positive impact on the leasing industry through the strength of their business acumen and their contribution to the wider industry. The winner will be respected by staff, clients and competitors, with a strong track record for leadership and representing their business. 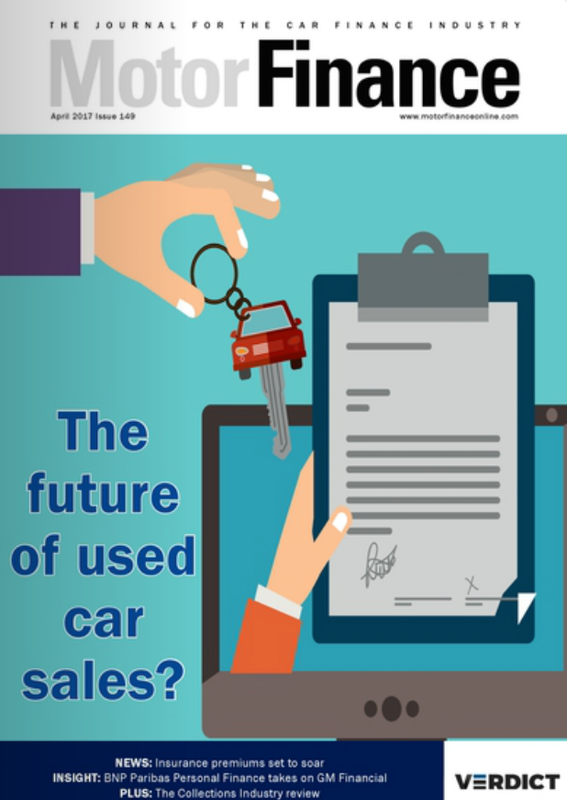 Leasing Lifes 2016 agenda covers the latest developments and hottest topics facing the industry. Inspirational keynote presentations, practical case studies and interactive Q&A sessions are structured to maximise participant engagement and promote opportunities for future collaboration across sectors and regions.